Never again will you have to watch an impling float away uncaught - barehanded impling catching is here! We've also got a number of Deadman Mode changes to help you get the most out of your time in Deadman. It is now possible to catch implings without a net or jar. Doing so requires a hunter level 10 higher than the usual requirement for the impling you are attempting to catch. For example, catching a dragon impling barehanded requires 93 Hunter. If you have an impling jar in your inventory an impling you catch will be placed into it. If you do not, the impling you catch will be looted immediately. 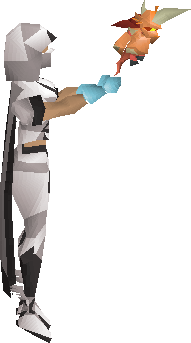 If you wish to catch implings within Puro Puro you must have an impling jar in your inventory. Clue scrolls have been added to the drop tables of implings. When looting implings you now have a chance of receiving a clue scroll in addition to your normal loot. Easy clues - Gourmet, Baby & Young implings. Medium clues - Eclectic, Essence & Earth implings. Hard clues - Ninja, Magpie & Nature implings. Elite clues - Dragon implings. The higher the hunter requirement to catch an impling, the more likely you are to receive a clue scroll. The gem reward bag has been added to Prospector Percy’s shop in the Motherlode Mine. Costing 40 golden nuggets, gem reward bags contain 40 random gems (with higher tier gems being less common). In Deadman Mode the combat level of the person who kills you now impacts how much experience you lose when you die. A death to a player who completely outmatches you will not be as severely punished as a death to someone of a similar level. The result of this is that experience loss remains roughly the same when you die to a player of a similar level to you. However, dying to a player who is a higher level than you gets less and less punishing as the difference between your combat levels increases. 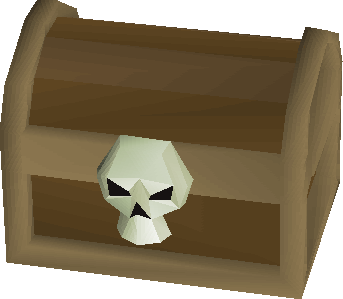 For example, if a skulled level 80 with 5 million mining experience were to die to a level 126, they would now lose 750k experience rather than the 2.5 million they would have previously. If the level 80 wasn't skulled, they would lose 375k experience. We feel this is a much fairer system which allows lower level players a fighting chance of keeping their stats long enough to progress. This is multiplied with the normal experience loss. 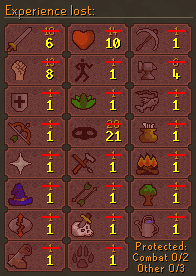 The number of item stacks lost from your bank on death in the Deadman Mode has now been reduced from 28 to 10 for everyone. This change will give players who die a better starting point for rebuilding while still giving PKers a rewarding drop for their efforts. Unskulled players now have a slightly lighter restriction on when they can teleport. Rather than a 10 second count down which is reset if interrupted, unskulled players can teleport instantly if they have been out of combat for 10 seconds. Brand new Deadman Mode accounts now have 6 hours of protection from player-vs-player combat. In these first 6 hours it is not possible to attack or be attacked unless you first talk to Doomsayer in Lumbridge. In addition to 6 hours of immunity, brand new Deadman Mode accounts now also receive 6 hours of increased experience gain. During this period, experience is gained at 10x the rate of Old School (double the usual rate in Deadman Mode). This change should help players who have started Deadman Mode late get to a point where they can compete and defend themselves. If you're yet to try out Deadman Mode, now is the time! Mac will now purchase unwanted Max capes back from you, for 80% of the original cost. He will only purchase them off you if you bring both the hood and cape. This can be done for the various combination max capes too. King black dragon heads can now be split into 3 ensouled dragon heads. Just get a knife and split away. It is now possible to use the alchemy spells whilst in most instances, such as the Kraken lair. Lunar’s group teleports will no longer trigger the 10 second teleport delay timer in Deadman mode twice. The destroy message for the bonecrusher now correctly states that you can retrieve it from a Ghost disciple rather than the taskmaster. A message given in Animal Magnetism now states the correct Crafting level requirement. The Nardah herbalist has had a typo fixed. 'Tarromin', rather than 'Yarromin'. Thormac will now inform you of the correct price for enchanting your battlestaff, rather than telling you it will cost you 'tosting' coins. The Varrock diary task to purchase 20 mahogany planks from the Sawmill now ensures you have enough coins to pay for the planks. Also thanks for scrapping the whole partner idea for MM2, are you able to tell us what the mechanic was that required two people? awesome update! love it keep up the good work. Now that you've added gem reward bags in Prospector Percy's shop, would you also consider adding similar reward bags for coal? Costing e. g. 50 nuggets for 100 coals? Can you get dragonstones from the gem bags? lol buyable clue scrolls. when is slayer tower spawn increase ?